It’s the least known of the Italian islands and tends to attract fewer people but those looking for a more private and luxury holiday. Most of the visitors to Elba are Italian or German. The Germans occupied the island during WWII and they have been holidaying there ever since. 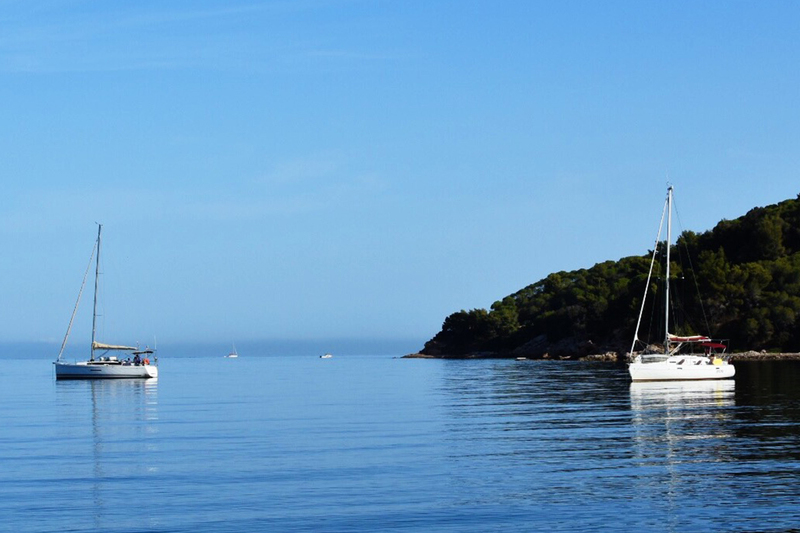 Elba isn’t difficult to get to – only a train to the port city of Piombino (not far from Florence) and then a ferry to the capital of Elba, Portoferraio. Until you ferry your car to Elba, once you arrive, you’ll have to catch a taxi to your accommodation. I have caught many taxis in my time and this was right up there with the priciest of them…And I live in Perth, where everything is expensive. Accommodation on Elba is not cheap. And the cheaper hotels don’t look so appealing. 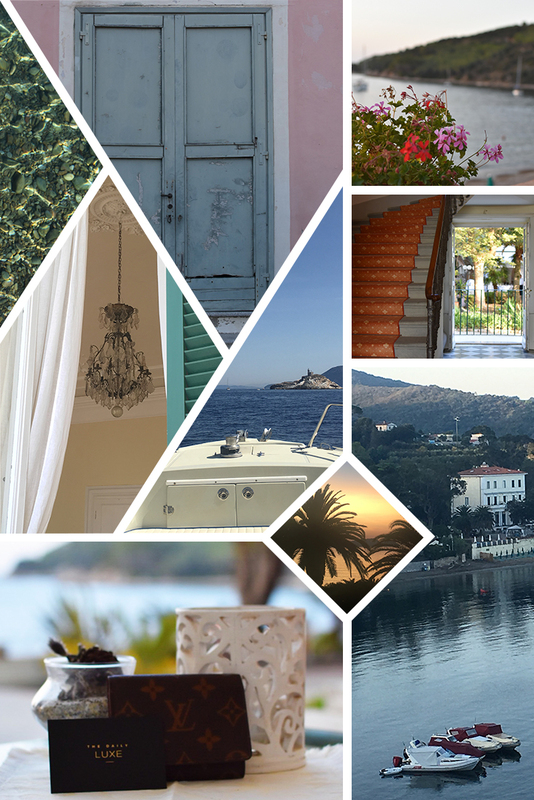 We suggest looking at 4/5 star hotels if you’re looking for a relaxing luxury holiday on Elba. We stayed at a gorgeous sprawling estate called Villa Ottone – a converted private villa with restaurants, a bar and a private beach. This hotel very much carries that 1960’s style of luxury travel: the rooms are quite simple and won’t blow your socks off, but the restaurants are gentrified and the service is attentive but not overbearing. What was on our to do list? Beach. This was easy – our hotel had its own private beach with li-lows. The sun is hot and the water is like a bathtub. Our beach also had a café, so you could grab a coffee or a bite to eat without too much effort. Alternatively, if you prefer lounging by a pool instead of the beach, our hotel also had a pool with an adjoining restaurant. If you are inclined to venture out to go to the beach, there are over 70 beaches on Elba you can visit – the renowned ones are: Capo Bianco, Sansone, Cavoli and Fetovaia. The issue isn’t the beauty of the beaches – it is the difficulty in getting to them if you don’t have a car: taxis are expensive and the public buses are infrequent. Hiking. Elba has a number of peaks and the views from the top are outstanding. We only did one major hike and luckily La Fortezza del Volterraio was within walking distance of our hotel. It was 2 hour hike and the view over the island was well worth the effort. Historical musings. Elba is famous as being the island Napoleon was exiled to during 1814-1815. Napoleon’s villa, museum and theatre are located at the highest point in the old town of Portoferraio. The house still contains much of the original furniture and Napoleon’s library and is well worth visiting. It was great to step back in time, marvel at the architecture and interiors, and crack exile and short men jokes. On the water. While there are many large group boat tours of the island, we were hoping for something a little more relaxed and private. Our hotel was able to organize us a private boat tour of the island, complete with Claudio our skipper. A half-day private tour was only 275 Euro and allowed us to go snorkeling and visit the beaches we would otherwise have difficulty visiting. It was a magnificent way to see the island, enjoy the beaches and go for a snorkel. Well worth the time and money. Food. Given our hotel was 40 minutes from Portoferrario, we didn’t tend to venture out much. That being said, we did enjoy one magnificent dinner at Teatro Bistro & Wine Bar. It had a great view over the square and served simple and delicious local dishes, including plenty of fresh seafood. The service was also notably good. Aperitivo time. The other perk of our hotel was the gorgeous stand alone bar with an outdoor terrace that overlooked the ocean. The interior is stunning: painted ceilings, chandeliers, and white linen drapes. The terrace is lined with occasional tables and lounge chairs facing the ocean. Each evening commenced with us lounging in a cushioned chair, staring out over the water, Campari in hand, and with a table of bar snacks. It was a routine we became easily accustomed to. Overall we loved Elba. It truly is one of the few luxury travel destinations you can visit in the peak season, properly unwind, and avoid the crowds. Aside from the logistics of navigating the island and the slightly underwhelming hotel room, it made for a very worthwhile holiday. I would definitely make a return trip.